Earlier this month, the California High Speed Rail Authority Board voted to begin construction of the main phase of the system, a 520-mile span connecting Los Angeles and San Francisco, with construction costs estimated at $43 billion. At the same time, the Chinese government plans to spend $600 billion to expand its network of high-speed rail coverage. Additionally, its railway companies including CSR Corporation Limited and China Railway Group Ltd. are forming partnerships with industrial manufacturers Alstom, Bombardier Inc. and General Electric Corp. to develop new rail systems around the world. MY TAKE: While China expands its global high-speed rail presence, which includes high-speed links with Thailand and Laos and a passenger train that travels at a world record speed of 302 miles per hour, U.S. based projects remain controversial. Opponents suggest the projects are too expensive or wasteful, while supporters state that potential benefits include reductions in fossil fuel dependency, job creation and reduced transportation congestion. This past week, after governors in Ohio and Wisconsin decided not to move forward with somewhat questionable high-speed rail projects, the U.S. Department of Transportation announced it would redirect $1.2 billion of federal funding to projects in California, Oregon and Washington. Successful completion of these projects will likely require private sector investment and a less polarized political environment. This past week, investors in U.S. equities benefited from news of an extension of the Bush tax cuts, increased U.S. consumer confidence, a narrowing of the U.S. – China trade gap, a continuation of jobless claim benefits, along with markets that were less concerned about European sovereign debt issues. On Saturday, the Chinese government said its consumer price index rose 5.1 percent in November. This is the largest increase in 28 months driven by sharp price increases in food, retail sales and property construction. MY TAKE: As some markets have moved higher, there seems to be a sense of “Risk On” with analysts increasing their 2011 estimates. I would suggest a more cautious approach as we move toward the end of the year. While “decoupling” among major global markets may take place, this is generally not the case. If inflation in China persists, there are significant implications for investors globally. MY TAKE: Foreclosure processing will likely proceed at a slow pace as judges, along with state and federal regulators, continue their reviews. The implications for large money center banks and their investors, as well as the financial system remain unclear. Historically, socially responsible investing (SRI) has been associated with a strategy of avoiding companies involved in “vices” such as guns, gambling, alcohol and tobacco. A more modern view also focuses on ethics (perhaps avoiding firms that negatively affect the global economy) and sustainability (protecting the environment and managing the planet’s limited natural resources). As a result, today’s more expanded view includes investment opportunities in areas such as water treatment, energy conservation, agricultural production and pollution management. MY TAKE: The broad array of SRI and sustainable investment opportunities include innovative emerging companies and industries (such as alternative energy) as well as the transformation of traditional industries (such as transportation and oil production). As investors, we must understand the risks. 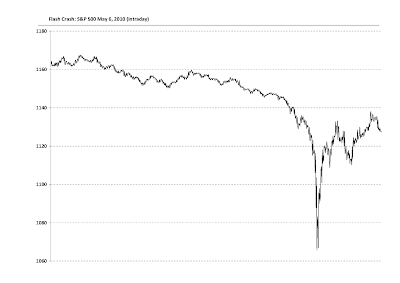 As with most investing activities, the SRI and sustainable themes do not guarantee profits. Issues to consider include 1) the negative impact of the credit and financial crises on project funding, 2) regulatory confusion, 3) the potential for pricing pressure and commoditization and 4) weak business models. I look forward to discussing this important topic with you in more detail as we move into the New Year. Is "3PAR frenzy" a 3-ring circus? On August 18, data storage firm 3PAR, Inc. (US: PAR) traded at $9.65 a share which valued the firm at about $600 million. On August 20, a bidding war started between Dell, Inc. (US: DELL) and Hewlett-Packard (US: HPQ). This process has driven the company's value up to $2 billion. MY TAKE: The technology industry buzz is that personal computers are in decline and that "cloud computing" (is this a fancy term for "time sharing"?) is where the action is. Given that 3PAR's revenue for the past four quarters totals about $97 million, understanding the business leverage to be achieved from this transaction may be a challenge. In the short term, one of the big winners from this deal is 3PAR's advisor- Qatalyst Partners led by Frank Quattrone. Is the frenzy associated with this deal based on a brilliant strategy, a bubble or corporate "dumb and dumber" syndrome? - only time will tell. The past week's news flow included 1) a decline of 27.6% in US home resales during July (a more modest 13.4% decline was expected), 2) US second quarter GDP, as reported by the US Commerce Department, grew at a 1.6% annual rate (a decrease from last months 2.4% estimate and 3) Intel Corp. (US: INTC) cut its third-quarter revenue forecast because of weak consumer demand for personal computers in mature markets. When U.S. Federal Reserve Chairmen Ben Bernanke addressed policy makers and economists in Jackson Hole, Wyoming; he said "the task of economic recovery and repair remains far from complete," and "in many countries, including the United States and most other advanced industrial nations, growth during the past year has been too slow, and joblessness remains too high". MY TAKE: Bernanke's comment that the Fed "will do all that it can", along with a short-term trading view that "markets are oversold and ready for a bounce" helped support a rally in US equities on Friday. However, debates persist on how to deal with 1) the potential of deflation and/or inflation, 2) slowing economic growth and 3) continued unemployment. There are also concerns that the Fed's ability to address the economic challenges is in decline. Uncertainty is the enemy of investors and uncertainty remains high. Be pragmatic in your investment decisions and heed the words of Warren Buffett: "Rule No.1 is never lose money. Rule No.2 is never forget rule number one." Notes from "Clean Technology Investing: A Global Perspective"
With recent news of floods in Pakistan, fires in Russia, and glaciers cracking in Greenland, my 45-minute presentation in San Francisco last week seemed timely. The session notes below provide an overview on the topic. To illustrate potential uses of clean technologies, I provided the following examples: 1) wind power use at the Nelson Mandela Bay Stadium during the World Cup in South Africa, 2) the 26-hour flight of Solar Impulse, a solar powered light carbon-fiber aircraft, over Switzerland this past July and 3) investigations by Pacific Gas & Electric (PG&E) in California to launch satellites capable of converting the sun's rays into radio waves and beam the energy to receiving stations on the ground. Public equity investment ideas for consideration included Power-One, Inc. (US: PWER) - a provider of power conversion systems; Cosan Limited (US: CZZ)a leading producer of sugar and ethanol, Quimica y Minera de Chile (Chile: SQM/A, US: SQM) a provider of lithium as well as potash and potassium nitrate based fertilizer products and General Cable Corp. (US: BGC) a provider of copper, aluminum and fiber optic wire and cable products. Yes - addressing global economic instability is a high priority by policy makers, but the need to minimize environmental damage to the planet and reduce dependence on fossil fuels has not disappeared. achieving grid parity - the point where alternative energy sources are equal to or cheaper than incumbent energy sources. While about 200 "clean tech" companies publicaly trade in the US, significant venture capital investment is supporting innovation in this market. Investors should seek companies with strong business models and the capacity for sustainable performance. The potential to generate free cash flow is a useful indicator in this analysis. Cisco Systems' John Chambers joins the “Unusual Uncertainty” choir. Last week, Cisco Systems (US: CSCO), the world’s largest maker of networking equipment, reported quarterly results and its stock dropped 10 %. During the earning conference call with investors, CEO John Chambers reiterated a view recently presented by Federal Reserve chairman Ben Bernanke - he warned of “unusual uncertainty” in the economy. My first meeting with Mr. Chambers was in 1994 – just three guys sitting in a small conference room at JP Morgan (Chambers had not yet assumed the role of CEO). Since then, I have listened to him on conference calls, attended his presentations at investor events, and spoke with him at a business function at the Dead Sea outside of Amman, Jordan in 2004. He is the leading “perma-bull“ in an industry populated with extreme optimists. While he may be signaling a momentary “speed bump”, he is also known for choosing his words very carefully. Cisco is more than a technology bellwether; it is a global leader in a significant industry. Investors should not take his comments lightly. What lies ahead for Europeans as they return from summer holiday? Several weeks ago, European banks published results of a banking system stress test. With only seven banks failing out of ninety-one tested, European central bankers celebrated its success. Last week, Germany reported strong GDP growth (2.2% from last quarter), France’s report was more moderate (0.6% growth from last quarter) while other countries reported weaker results. MY TAKE: Recently Greek, Italian and Portuguese banks increased their borrowings from the ECB, a signal that the challenges facing the European banking system have not been resolved. Additionally, similar to the United States, the Eurozone is moving into the "post-stimulus" stage of its economic cycle. The true “stress test” for Eurozone members will be the level of resilience these economies can maintain in an environment of weak growth and decreased risk tolerance. To gauge the level of recovery or weakness in the Eurozone, it will be important to monitor borrowing trends from the ECB along with the performance of credit markets; which have been sending a cautionary message in recent days. Last week, I noted that shorter duration “risk-on” (bullish) and “risk-off” (bearish) investment phases will likely replace the persistent bull market (1980s through October 1997). While stock picking and asset selection remain critically important skills, it is equally important to understand the current market risk phase. 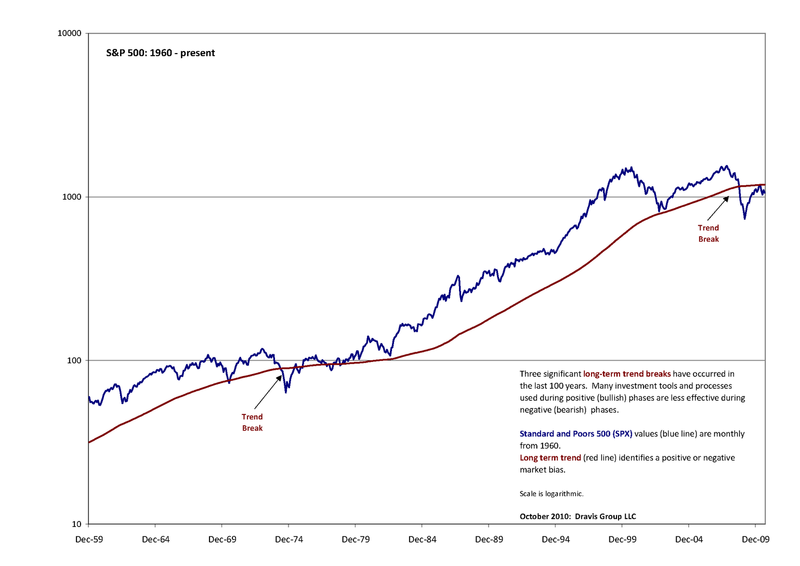 MY TAKE: As of Friday’s market close, the S&P 500 and FTSE 100 remained in “risk-off” (bearish) mode for medium to long term investors, while maintaining a “risk on” (bullish) status for short term traders. 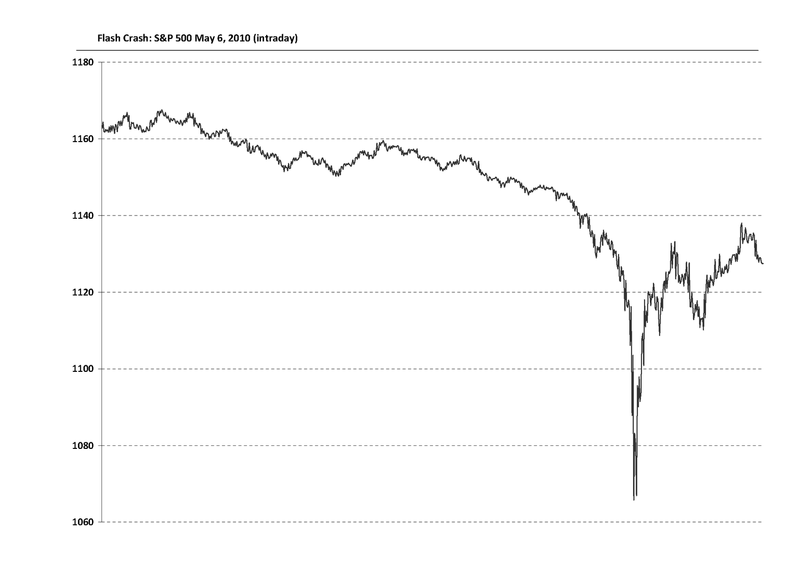 The risk monitor (which incorporates a broad set of market data) was helpful in identifying the most recent “risk off” phase that developed during April, along with several other significant turns in the market. As always, please be aware that market conditions are subject to change. U.S. unemployment - the big "Ouch"! On Friday, the U.S. employment report was disappointing. During July, 131,000 jobs were lost, with results impacted by the termination of temporary 2010 census staff. The private sector added 71,000 jobs, but expectations were for 90,000, and the unemployment rate remained at 9.5%. On this news, US equity markets initially fell about 1.5%, but moved to more moderate losses by the end of the day. The much larger and more influential bond market (consisting of corporate, consumer and government debt instruments) reacted in a less enthusiastic manner. Notably, the US 10-year Treasury yield dropped to 2.8% (the lowest since April 2009) and 2-year Treasuries dropped to 0.51% (an all-time low). MY TAKE: While the recent equity rally received significant attention by the media and investors, bearish trends in the bond market, while volatile, should not be overlooked. Recent bond market moves suggest that concerns about slower economic growth and the potential for deflation persist. Additionally, economists have been cutting 2011 U.S. GDP growth estimates (the most recent cut from Goldman Sachs on Friday, reducing its estimate to 1.9% from 2.5%). Some economists believe an annual rate of 3.5% is required to stabilize the economy. Adding to investor confusion are recent positive corporate earnings and manufacturing data. Volatility will likely persist as investors seek answers to: 1) how much of the “good news” resulted from corporate cost cuts and government stimulus spending, 2) how will additional stimulus spending, if it is injected into the system, be interpreted by investors and 3) when will corporations start hiring/investing and stop hoarding cash? Navigating the “risk on, risk off” investment landscape. 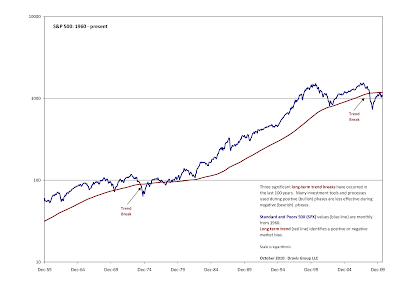 From the early 1980s through October 1997, investors benefitted from a persistent “risk on” (bullish) market. In today’s environment, the timing and duration of “risk on” and “risk off” (bearish) periods will be difficult to predict. Understanding when they begin and end will be a critical component to investment and risk management strategies. MY TAKE: Investors must be nimble and adaptive to the changing landscape. I have added a process to monitor “risk-on, risk-off” market changes to my investment toolbox (more details will be shared in the coming weeks). As of Friday’s market close, the S&P 500 and FTSE 100 were among the market indexes in “risk-off” mode, but that could change soon. After three weeks of quarterly financial reports from S&P 500 companies, three hundred and nine firms collectively reported an 11% annual revenue growth rate. Additionally, on Friday, the U.S. Department of Commerce announced that second quarter GDP grew at a slightly lower than expected annual rate of 2.4%. MY TAKE: As economic cross currents and confusion persist, equity markets swing wildly intraday as moves are dominated by 1) systematic and high frequency trading systems, 2) leveraged exchange traded fund (ETF) speculators and 3) portfolio managers playing the "trading range" game. Within this context, please consider the following thought from Warren Buffett: "Look at market fluctuations as your friend rather than your enemy; profit from folly rather than participate in it."